Burlington, Ontario Let's Make a Healthy Change to Your Lifestyle Today! As a Registered Holistic Nutritionist and Lifestyle Coach located in Burlington, Ontario, I will help you completely understand nutrition and how it works within the human body in order to create a state of overall wellness. I will work with you to create a program that fits your needs, your likes and dislikes as well as your lifestyle and provide you with the support and motivation to keep you on track to ensure you reach and maintain your weight loss and health goals! By providing you with the knowledge and tips necessary to reach your goals, you will become your own expert and will be able to continue along the path of success to a healthier life! If you're looking to lose weight, improve your overall health and become the best version of YOU, thrive is here to help! Exciting News Burlington! Thrive Is Now Available For Appointments! Thrive is excited to be joining the Think Chiropractic & Wellness Centre Team starting July 23, 2018!! Think is located at 2025 William O'Connell Blvd in Burlington. Let's make a healthy change together! 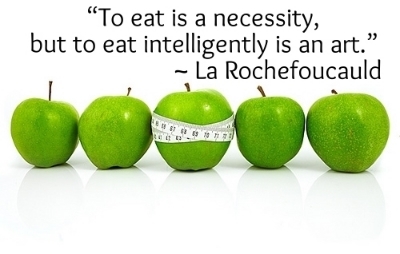 Contact Think to book your Initial Nutritional Consult TODAY!! ATTENTION BURLINGTON TEACHERS & EDUCATIONAL SUPPORT STAFF! September is fast approaching and a new school year is almost here! It's time to start thinking about your HEALTH & WELLNESS goals for the Fall! Sign Up for Thrives 6 Week Nutrition & Lifestyle Program TODAY! Contact Steph for more program details and cost! **Contact your benefits company to see if you're covered for the services of a Registered Nutritionist! ** If you haven't already taken advantage of your benefits for this calendar year, sign up in August so you can still enjoy your full benefits come September! Join Thrive's 10 Week "Fall Into Fabulous" Weight Loss & Wellness Challenge! A new season and a new set of goals! If you're ready to make a healthy change to your diet and lifestyle this Fall, join Thrive's 10 Week Weight Loss & Wellness Challenge!! Let's make a healthy change together this season! Contact Steph for more challenge details and costs! Start Date: September 5, 2018 Chance to win a $100 Visa Gift Card!! Are you getting bored of the same old meals? Follow Thrive on Pinterest for some fun new recipes!